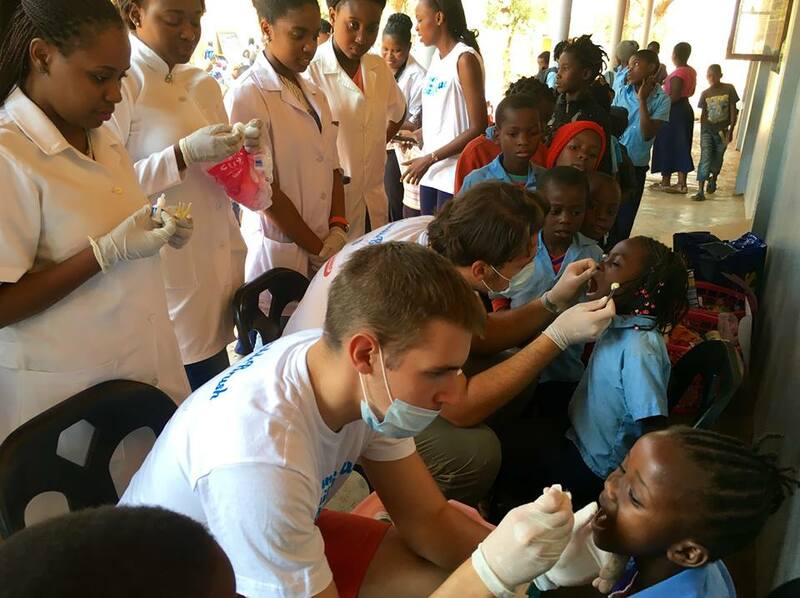 Dentisththeworld is a global non-profit organisation of dental professionals and dental students established with the aim of improving oral health of disadvantaged and poor population all around the world, by giving them the tools and knowledge. With only 150 euros a whole school class can be equipped with a year long stock of toothbrushes and toothpastes. In the whole island of Zanzibar which is on of our target destinations there are around 1,300 000 people and only four dentists. There are three key procedures we base our patient treatment in those low type of environmental and health conditions. Third and one of the most important task is raising awareness and educating local physicians and doctors of dental medicine. Forming different sorts of workshops and educational seminars in which the knowledge and experience of worldly volunteers would be passed on to local health organization. Donating materials and equipment and informing locals on their usage and advantages in different kind of treatments is also a very big part of this project. we made our first official crowdfunding video and we hope you will like it. So far we have managed to collect a lot of materials for our voluntary project in Zanzibar and reduce expenses for our volunteers but in order to reach out more patients, supply more schools with tooth brushes and tooth pastes and to get more volunteers we still need your help! Be humble and help us create the unique platform for dental volunteers. For direction and production of this video, we also want to thank Bojan Stekic who did a great job and even gave up on his fee to help Dentist The World's voice be heard. Ik heb gedoneerd want er zijn weinig tot geen mogelijkheden voor de locale bevolking om aan dentale medische hulp te komen daarom willen mijn vrouw ik dit project graag ondersteunen.